There are several reasons why a safe needs to be cracked, disregarding criminal safe attack. You may have lost the keys to your safe, or forgotten the combination, the lock may be malfunctioning and giving you trouble, there may have been a burglary attempt which has left your safe incapacitated. 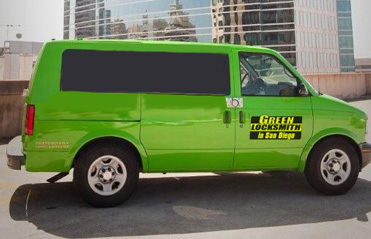 Whatever the reason, Green Locksmith Los Angeles can solve the problem, we can crack whichever kind of safe with any type of lock. Without disclosing any information which may assist anyone wanting to gain unauthorized access to a safe, let us tell you a little about how professional locksmiths crack safes. These two age old, somewhat vandalistic methods are used mainly by burglars, who usually ultimately fail such unsophisticated attempts to open a safe. However, we mention these methods because, in rare cases, they may still be the method of choice for safe-cracking by a professional locksmith. Only “light duty” safes can be pried into, such action will of course ruin the safe but if the keys to such a safe have been lost their owners may choose to allow a locksmith to pry their safe open. If it’s a safe that can be pried, it’s simple and quick. Cutting into a safe is possible only if the safe does not possess “anti-cutting” properties. Safe manufacturers take measures to make it impossible to cut into their safes, it may be a layer of copper which dissipates the cutting torch’s heat, a layer of tar which fills the room with smoke or a combination of materials which will dull a saw’s blade in seconds. Even with safes which can be cut open professional locksmiths will probably advise against it since this is a noisy, lengthy, messy method of safe-cracking. Safes with combination locks may need cracking when the combination is no longer known, it may have been written down but lost, forgotten due to scarce use, it may be safe installed in a house you bought or inherited etc. Manipulation of a safe’s combination lock is a well respected, impressive technique used by highly experienced locksmith techs who possess intimate knowledge of the lock they are manipulating. Making use of stethoscopes our techs will listen subtle sounds all the while also paying close attention to variations in resistance. It may be a lengthy process but we will ultimately open the safe for you leaving it in perfect working order and with the combination to it known. Many times drilling is the most practical for a professional locksmith to crack a safe. Drilling requires intimate knowledge of the lock’s mechanism in order to position the hole allowing precision instruments to be inserted and used to unlock the safe. 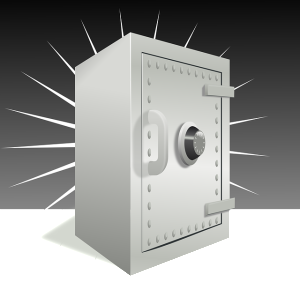 Safes may possess properties which must be taken into account when drilling into them. For instance, there may be a glass plate built in order to shatter when hit by a drill bit causing iron rods to fall into place making the safe ten times harder to crack. Sometimes a small hole will be drilled in order to insert a fiber optic “borescope”. This is called “scoping” a safe and will allow our techs to see changes in the safe’s locking mechanism while manipulating them from the outside. Professional safe-cracking is an art requiring wide scale know-how and a variety of tools. 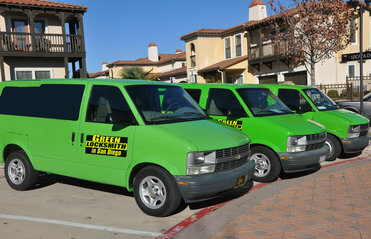 At Green Locksmith Los Angeles we possess all of these and will gladly provide you with high quality safe-cracking services for virtually unbeatable prices.